The best place to learn, make, share by yourself or with others! In a complex, uncertain, constantly moving world, you need to become agile, able to make and find the right information in the shared multitude. 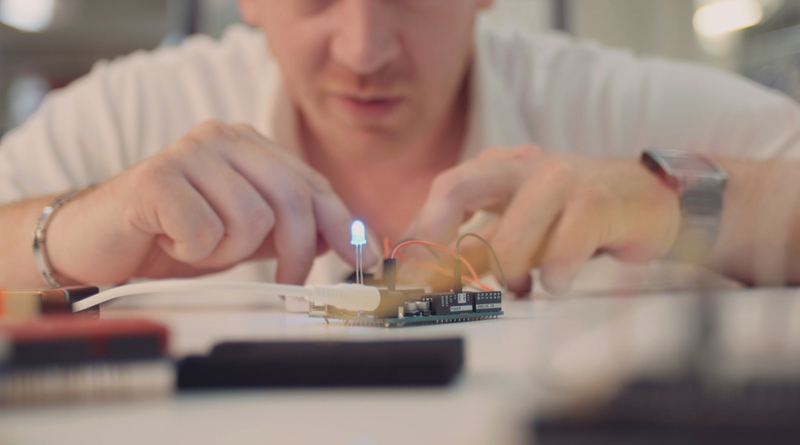 The makers' lab is the key, it allows you to test, collaborate, make, learn and fail. Come and manipulate technologies and their usages! Develop new skills and a maker spirit through digital tools, innovative pedagogies, and areas dedicated to co-construction. The lab gives you access to code and materials that will allow you to rethink the world with your own eyes. In the lab, you are the one making! We offer online tutorials and examples, as well as regular events to help you get started. Learn how to quickly prototype connected objects, websites, products, mobile apps, or whatever you're thinking about. Even better, learn how to do it with others!